We are a well-renowned organization in the industry to provide our patrons the best quality array of E Rickshaw Controller. Being one of the renowned firms in the industry, we are decidedly involved in providing a premium quality array of E Rickshaw Controller. 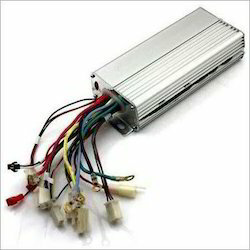 As a quality focused firm, we are engaged in offering a high-quality range of E Rickshaw Controller. We offer to our honored patrons the first-class range of E Rickshaw Controller. Furthermore, our patrons can avail this product from us at affordable rates. This is standard twist throttle of for 24V, 36V or 48V E-bikes. Comes with one throttle and one gripper.